Oistrakh Symphony of Chicago combines the timeless allure of classical music, with dynamic, youthful musicians who offer the highest possible performance standards and innovation in the classical listening experience. On January 22, 2019 Northbrook Symphony announced Music Director Lawrence Rapchak’s resignation after 17 devoted years with the organization to pursue new opportunities in communicating and sharing his passion for music, effective at the end of the current 2018/2019 season in June. 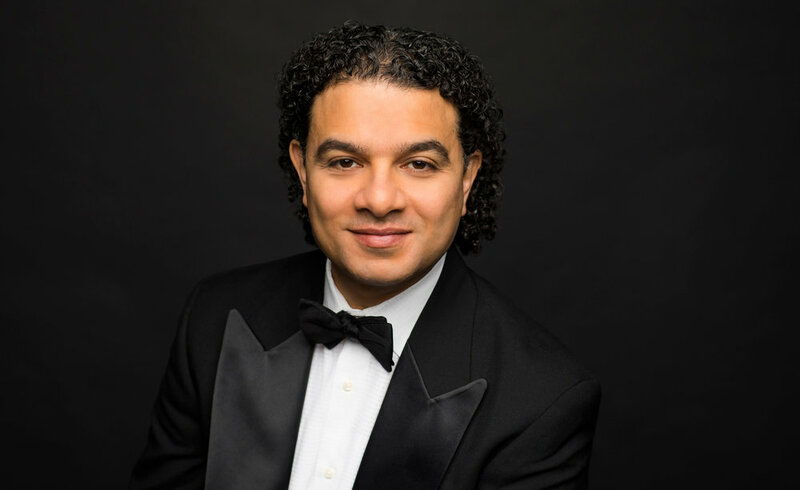 Northbrook Symphony also announced today that its board of directors has unanimously chosen internationally acclaimed conductor Mina Zikri, founder and current music director of the Oistrakh Symphony of Chicago, to step into the position with the start of the symphony’s 2019/2020 40th anniversary season this fall. The 41-year-old will maintain his positions as Music Director of Oistrakh Symphony of Chicago and Resident Conductor of the Lira Ensemble. The Oistrakh Symphony of Chicago was founded in 2005. The vision of OSC is to offer audiences and musicians exposure to a broad classical repertoire, performed at the highest level. As founder, music director, and conductor of the Oistrakh Symphony of Chicago, Mina Zikri is using his considerable talents to forge relationships with artists and musical organizations throughout the world, all in the name of developing new audiences for classical music. The Oistrakh Symphony of Chicago receives support from foundation and family grants, private individuals, and corporate donors. Your generosity helps us to realize our mission and deliver high-quality musical performances. We hope that you will partner with us to continue making significant contributions to Chicago’s musical offerings. The OSC is a registered 501(c)(3) non-profit. Donations are tax-deductible.